-fixed a few things here and there and some new things in You Know Your Obsessed With Ziggy When.... 1 new section, Download. and a new look for the main page. 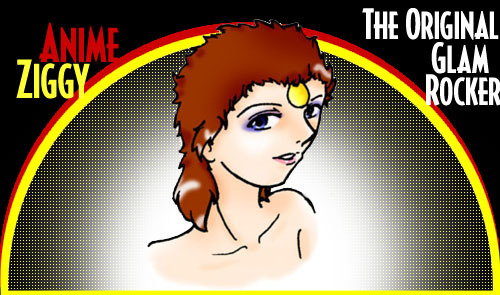 and 2 newbanners in link ziggy. Anime Ziggy and all it's content, excluding midis and others linking banner © 1999-2000 Liza. the real Ziggy Stardust is copyright material of David Bowie.